1. Very friendly and accommodating staff. 2. Easy access to the sauna 3. 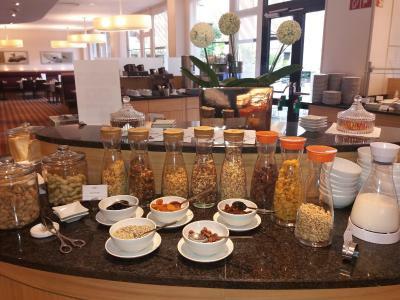 Food choices and quality for both breakfast and, especially, dinner. 4. Prompt shuttle service from the airport. Perfect location for flights at Tegel Airport. 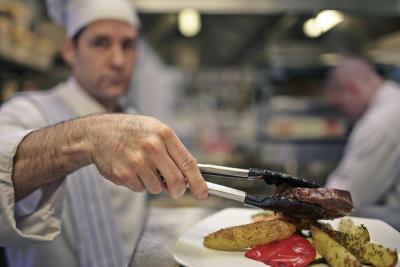 The meals at the restaurant are always outstanding! The bathroom was great and the room was very spacious. Our cat loved the large window. There was plenty of space for all our luggage. The ease of the free airport shuttle and the very kind and helpful staff. Proximity to the airport and free shuttle to/from the airport. Quite convenient to the airport. Only 1 stop by bus, and you can go to airport by hotel shuttle bus at anytime! 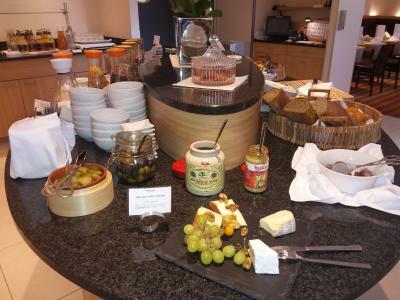 Nice facilities and nice food! Excellent bar and dining. Rooms were larger than expected. Staff was helpful. Great place to stay before catching a morning flight out of Berlin. Very quiet and secluded even though it's right next to the airport. Great service to the near-by airport Food-excellent! Staff was very helpful. The location as an Airport Hotel was excellent....literally adjacent to Tegel, and requiring just a 5 minute shuttle bus ride to the terminal. It was perfectly fine as an airport hotel: clean, modern, efficient, responsive staff, attentive to travelers' need to get to the airport in a timely fashion. And good value for money...can't ask for anything more. 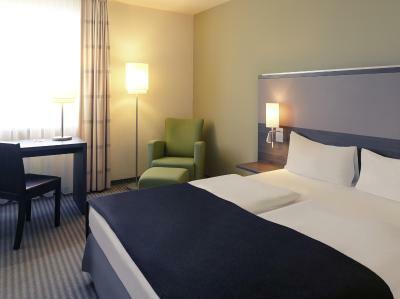 Mercure Airport Hotel Berlin Tegel This rating is a reflection of how the property compares to the industry standard when it comes to price, facilities and services available. It's based on a self-evaluation by the property. Use this rating to help choose your stay! 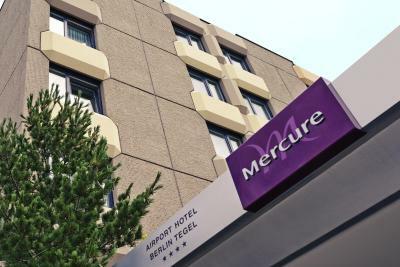 The Mercure Airport Hotel Berlin Tegel provides soundproofed rooms with satellite TV, air conditioning and mini-bar. Wi-Fi is provided free of charge in all areas. Daily from 04:45am until 11:45pm we offer a complimentary airport shuttle. The shuttle runs on direct request. The Shuttle Pick up point is at Terminal B, beside the public bus stop. 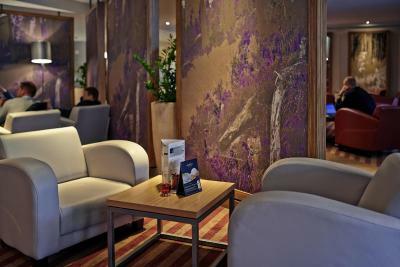 Spa facilities at the Mercure Airport Hotel includes a sauna and gym. The outdoor pool is open during the summer months. 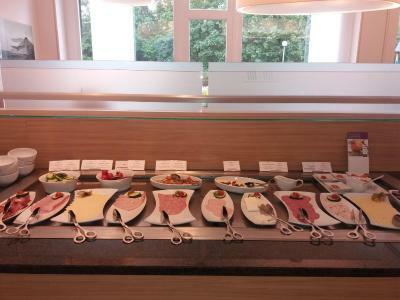 The Mercure Tegel’s La Caravelle Restaurant offers international food and German wines daily from 11am until midnight. Guests can also eat outside on the garden terrace. 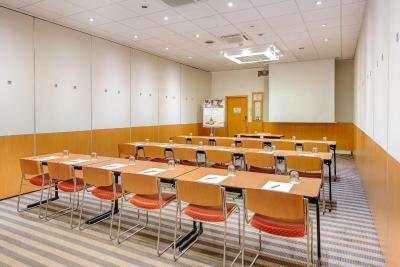 A private car park is available at the Berlin Tegel Mercure. Berlin City Center is only 15 minutes away, by car. 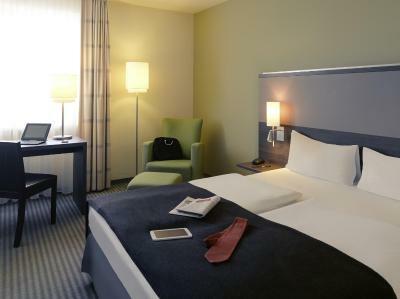 When would you like to stay at Mercure Airport Hotel Berlin Tegel? Soundproof room with satellite TV, air conditioning and a mini-bar. 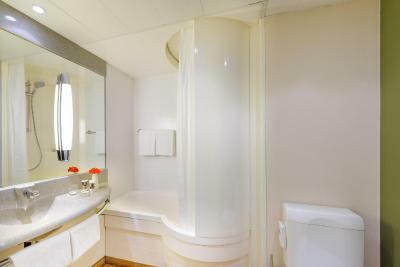 Also includes tea/coffee facilities, free Wi-Fi, free bottle of water, bathrobe, and daily newspaper. 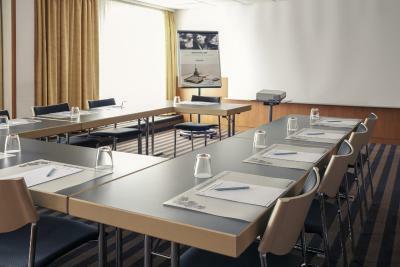 House Rules Mercure Airport Hotel Berlin Tegel takes special requests – add in the next step! 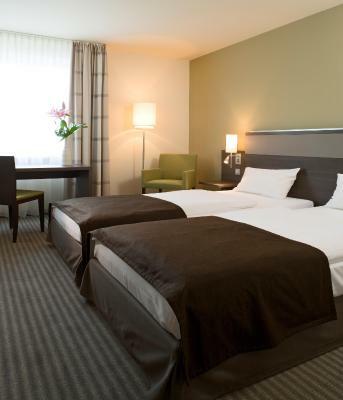 Mercure Airport Hotel Berlin Tegel accepts these cards and reserves the right to temporarily hold an amount prior to arrival. Wish the room amenities were better. The bathroom could do with a bit of freshening up. 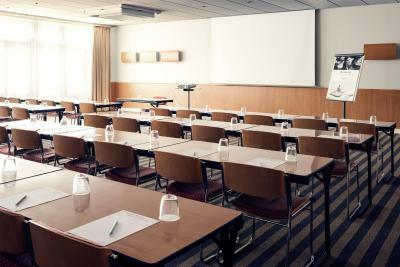 The room looked tired and required renovation. There are a lot of scratches in the bathroom in the tube and the shower looks a bit old fashioned. 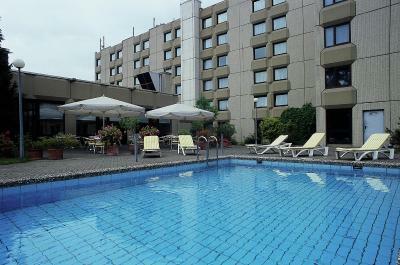 This one and only hotel that is really close the Tegel airport. 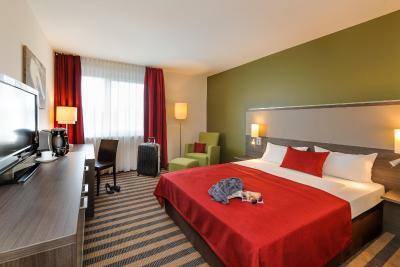 If you have very early flight, it is good to stay here, even the price is a bit higher if to take into consideration the state of the hotel, but it is Mercure one. Shuttle to the airport is available in the morning and its is free of charge. 1. The price is too high for the somewhat dated facility. 2. 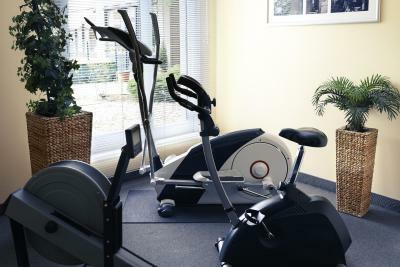 The gym has no treadmill which nowadays is a standard piece of equipment for hotel gyms around the world. The reception associate, Dominika, who took care of my check in, was exceptionally resourceful and spoke excellent English! The tub was difficult to get in and get out. Probably a balcony or a place for smokers inside. Not that I had a problem, I smoked at the entrance outside, but I imagine the cold weather is in the winter and I think that smokers would appreciate a little warm place for them to sit and smoke without having to freeze. I liked the room: very big and excellently decorated. The bed-comfortable and clean, great view. 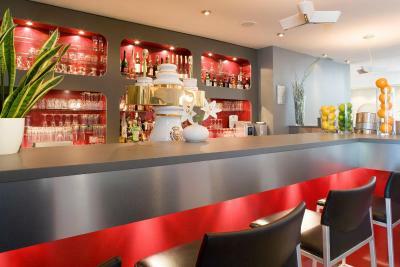 Staff is friendly and caring, the location is perfect for travelers, because of airport Tegel, which is right next to the hotel. I haven't had time to experience more, I only stayed one night with a flight in the noon the next day, but from what I saw, I was positively surprised. Thank you, Mercure! My flight departures are always at 6am so I need to leave the hotel no later than 4am. Unfortunately their shuttle does not start till 5am. Good news is that it is a very short cab ride. Despite the fact that there were 2 pillows per person, I found them hard, and got no sleep as a result. Since we are not young, we would have preferred a shower rather than a tub, just for safety. Our room had a mildew like smell. We were too tired to complain and request a different room. Breakfast was very good. We also had a meal the evening before and that was good but not amazing. 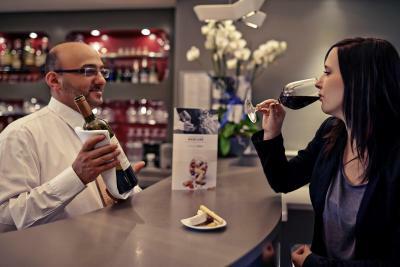 Staff are reasonably friendly. Shuttle bus to airport was handy. 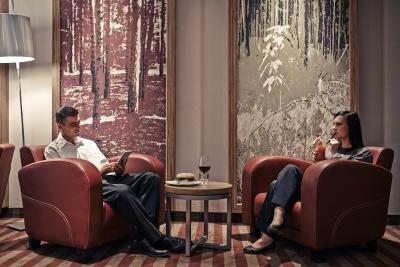 Hotel was perfect for our needs as we were travelling back from a business trip and wanted comfort and convenience which we got.